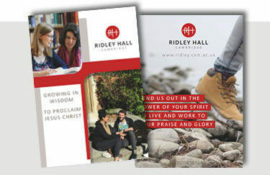 Is God calling you to Ridley Hall? 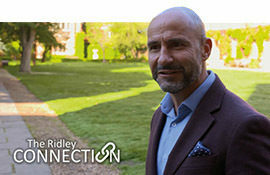 Ridley Hall is a worshipping and learning community housed on a beautiful site in the historic city of Cambridge. We teach theology for ministry and encourage those who study with us to grow in Christlike character and confidence for mission. Exploring a vocation to ordination in the Church of England? Find information on the discernment process, our theological training & ministerial formation, open days, fees and how to apply. Theology courses in Cambridge and London for men and women called to lay ministry – including youth, children's & family, and lay pioneer ministers – working in a wide range of church and non-church settings. 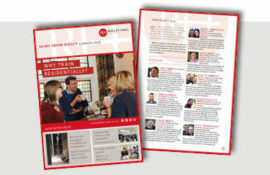 Information on a range of modules and courses, from introductory access courses for those looking to deepen their faith, to diplomas and degrees for clergy or theology graduates wanting to study part-time. Planning a sabbatical, retreat, career break or study leave from your job or ministry? Ridley offers time living as part of our community, so that you can return refreshed and renewed in your faith. Ridley Hall is an Anglican theological college established in 1881 in the heart of Cambridge, England. We offer full-time residential training for ordained ministry in the Church of England and training for a variety of Christian lay ministries in both church and non-church contexts. 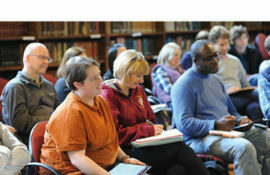 The Ridley community also welcomes those who want to study theology part-time for personal growth or to engage in further study or research, and people from across the world who are taking time out from their daily lives for refreshment, writing or research in the form of a sabbatical, study leave or retreat. Together we seek to grow in Christ-like character through worship and prayer, eating together and socialising, in an atmosphere of friendship, grace, honesty and humour. Book your place for June's Moule Day - a day of fellowship including the C.F.D. Moule Memorial lecture with Professor David Ford and Canon Sarah Snyder. The 2019 Moule Day - our annual gathering of friends and alumni - will take place on Tuesday June 4th and will feature "Be Reconcilers! ", a lecture delivered by Canon Sarah Synder and Professor David Ford. What is success in pioneering? The Revd Andrew Dunlop talks about his new book, "Out of Nothing: A Cross-Shaped Approach to Fresh Expressions". 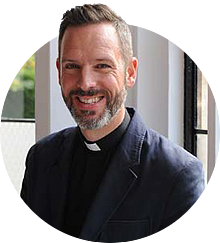 The Revd Canon David Male has accepted an invitation to support the community through prayer and in-person visits by becoming a Ridley Associate. The Ridley Connection e-newsletter provides news and updates typically once a term – it’s a great way to stay in touch with what’s happening at Ridley.